In small business it is important to keep all processes tight. Comarch ERP XT is company management application for small business dedicated to invoicing, warehouse management, simplified accounting and running an own online store. The solution is easy to use and available on your PC and laptop via a Web browser and on mobile as Android and iOS apps. Create an account in 10 seconds! Try it for free! Create all types of trade documents and send them to customers by e-mail. Easily verify and control your overdue payments as well as collect your debtors’ accounts. Manage customers, suppliers and products in convenient way. Create your own document printouts and decide on the data which will be included in an invoice. Automatically keep stock levels based on documents you put in Control stock level for particular or all products and prevent to sale items that are not available. Check stock level of your goods in a warehouse. Conduct a full inventory process as well as physical inventory in your company. Create accounting process automated to a maximum. Issue invoices and the program posts the documents by itself. Keep a VAT registry and revenue/expense ledgers of all the documents that you issued according to legal regulations in force. Manage salaries of your employees and the equipment-related records of your company with the required contributions. Fill in your tax returns automatically based on issued documents. You can send a filled in tax return directly from the application to a tax office. If you want professional accountant service to take care of your company’s accounting, you can choose one directly in Comarch ERP XT and exchange documents with your accountant via Comarch ERP XT. 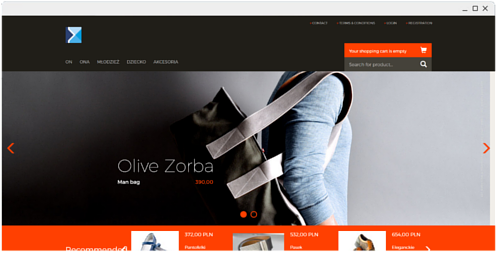 Run your own online store. The entire sales process and handling of orders in the store is maintained directly from Comarch ERP XT program and launching a store is very easy. 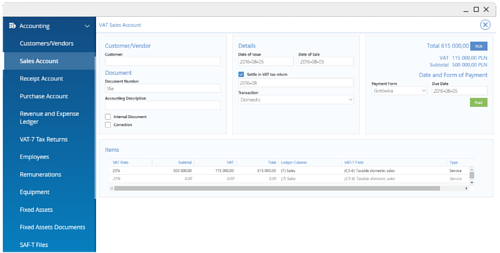 All orders submitted by customers are shown in Comarch ERP XT and can be easily transformed into sales documents. Customers are informed on ongoing basis what is the stage of his or her order.